Church leaders are taking seriously how social media can be harnessed to advance the gospel message. 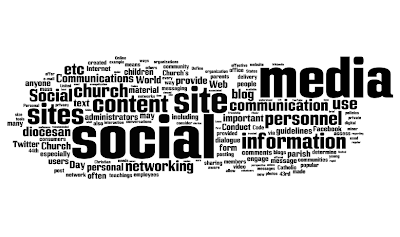 Last week, the US Conference of Catholic Bishops issued guidelines for using social media. 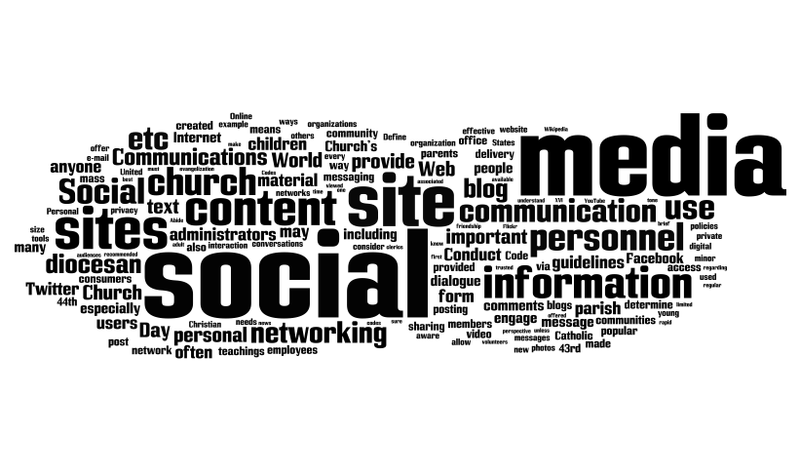 With everything from a primer on Web 2.0 to how to set up a blog, the guidelines are geared toward parishes, ministries, church offices and even bishops. It has a lot of good tips to consider so if you are just putting your big toe in the Internet pond, take some time to read it here. The guidelines encourage people to read the messages from the pope to mark World Communications Day, including the 43rd message and the most recent 44th World Communications Day Message. The art above is a word cloud from the document. I write like ... a literary giant.